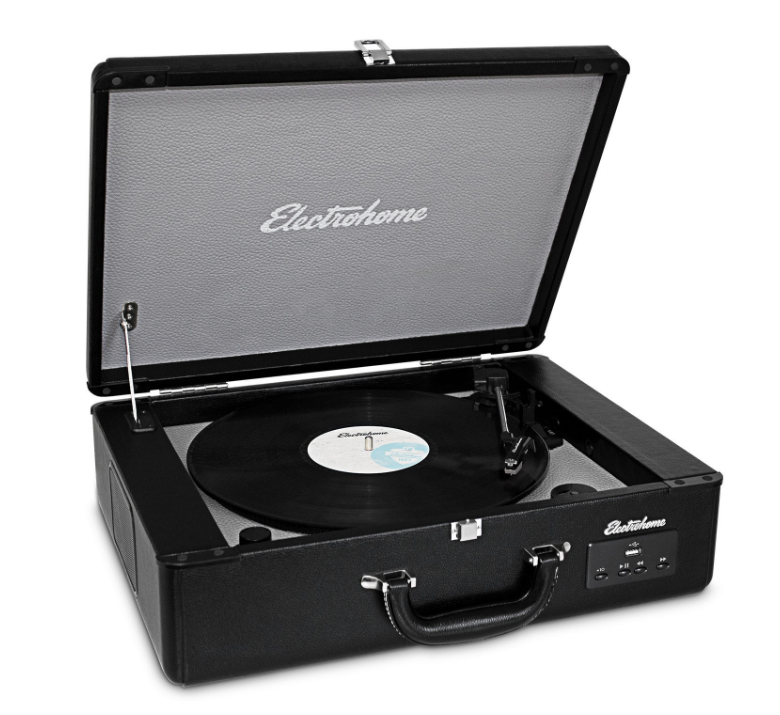 Ellen Degeneres Show Features Electrohome and the Vintage Archer Record Player on her annual “12 Days of Giveaways” campaign. Each member of the audience received an Electrohome Archer Turntable! In Day 8 of the 12 day spectacle, Ellen’s fans were treated to the gift of music with the perfect present for the holiday season. The Retro Electrohome Vinyl Record Player plays all of your favorite vinyl albums and even lets you play music from your smartphone, tablet, or USB drive. It has built-in stereo speakers and delivers full-range high quality sound. Backed by over 100 years in developing audio systems guests truly received a one of a kind stylish turntable. Backed by over 100 years of manufacturing high-quality audio products, Electrohome is pleased to introduce the Archer Turntable Stereo System.